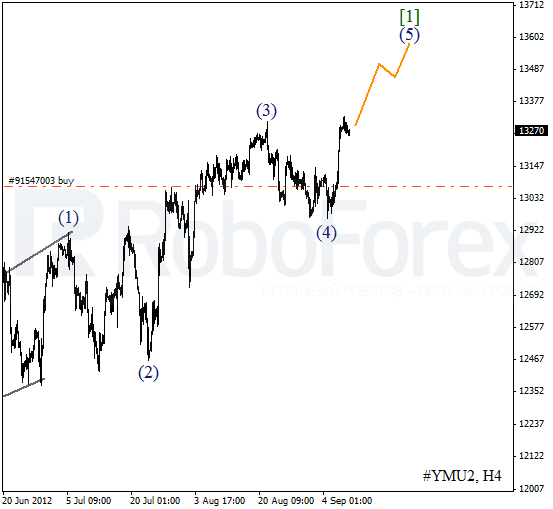 After completing wave (4), the price made a rapid ascending movement and then started the local correction. We can’t exclude a possibility that the Index may continue moving upwards in the future. 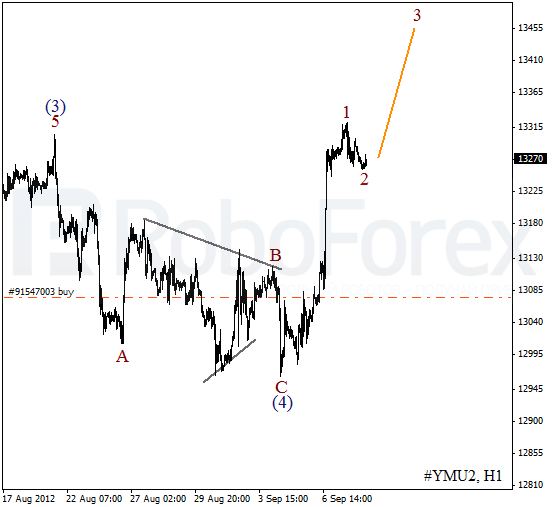 The bulls may reach the level of 13600 while forming wave (5). More detailed wave structure is shown on the H1 chart. 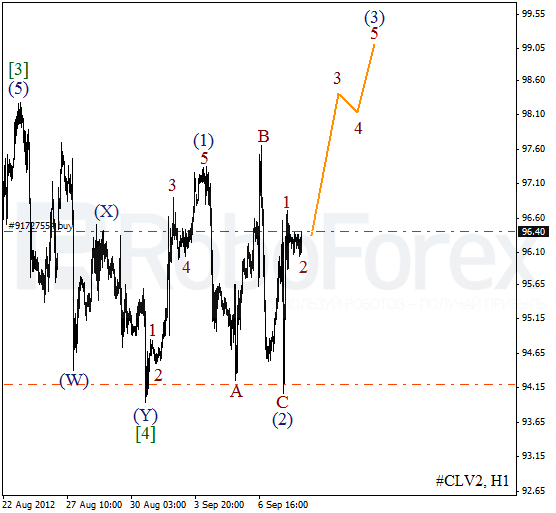 Wave (4) has taken the form of zigzag pattern. On the minor wave level the price has completed an initial ascending impulse. In the near term, we can expect the Index to start growing up inside wave 3 of (5). Oil continues moving inside quite a narrow trading range. We may assume that wave  has been already completed. On the minor wave level the price has formed an initial ascending impulse. Wave (2) has taken the form of an irregular correction and the bulls are trying to continue pushing the price upwards inside wave (3) and reach the level of $100 for p/b. As we can see at the H1 chart, the price has completed two initial impulses at a time. 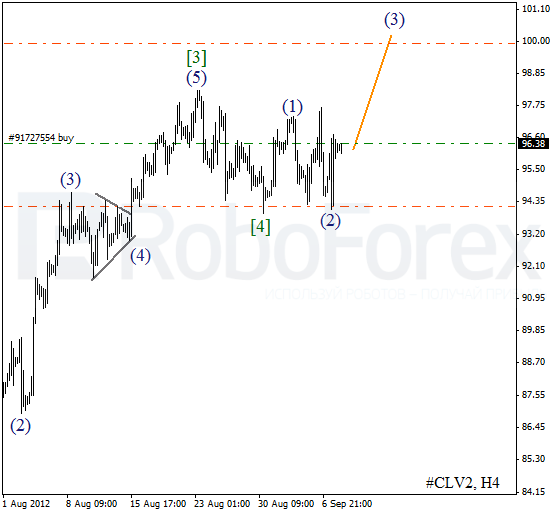 Currently Oil is being corrected inside wave 2. During the day the instrument is expected to start growing up and form wave 3 o (3).